For the last few years, I have traveled every week on business and have dropped into dozens of Crossfit affiliates around the United States. After deciding what I like about a box and what I don't , here is a list of things that I think you should look for when deciding to become a member. To me, this is the single most important factor in making a decision on whether to join a box. When I first started Crossfit, I became a member of a box that was close to my apartment. That was how I decided to join. Distance. I didn’t care if they had a milk crate to jump on; old monkey bars bought at a grade school charity auction and White Goodman serving as the head coach. It was close to home, and that is all that mattered to me. That first box that I joined ended up being a terrible place to become introduced to Crossfit. The coaches paid little attention to beginners and, as a result, many picked up bad habits, like improper form. When they didn’t see any progress, they became discouraged and quit. The coaches were so lackadaisical that I ended up referring to that box as “Cheech & Chong’s Crossfit,” because they might as well have just sat around and gotten high. It would have been more productive. My next box had a great coach, and she worked with me to fix the bad habits that I had developed at my first box. She taught me how to perform Olympic lifts correctly and without breaking my neck. She stressed the importance of mobility training and even assisted with nutritional goals. I just got done explaining how close a box is to your home or work shouldn’t be the primary factor in deciding whether to join. It should be the second most important factor. Let’s face it we live in a busy world and convenience is important. You have heard of Amazon pantry, right? We are now ordering our toilet paper online. People want easy access to everything. If your box is 20 miles or more from where you live or work, it makes it that much easier to skip a class. You can hear the excuses mount up right now. Find a box with a great coach and one that is as close to you as possible. That way you will be inspired to go because of the coaching, and it will be easy to make time to get there. The next thing to look for in a box is an adequate facility. Sure, there are some great boxes out there that once served as Billy Bob’s Auto Repair shop. That is fine but, and especially when you are new to the sport, try to find a box that is clean, has plenty of space and equipment and lacks broken glass on the floor. It should be a place that you want to come back to time and again. If there are hypodermic needles all over the floor, you are unlikely to return. You pay a lot of money to be a member of a box, the least they can do is provide you a clean place with adequate equipment. That isn’t too much to ask. Finding a box with the right programming to fit your goals is important. I have found that good coaches have a plan on where they are going with their programming. The first box that I was a member of employed the “throw the spaghetti against the wall” programming method. Just throw a WOD and strength movement out there and see what fits. If you find that your box employs this method, find a new place immediately. 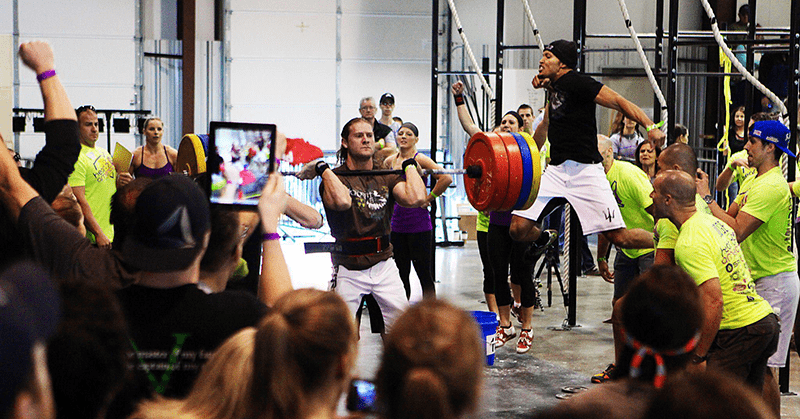 Check to see if the focus of your box is Olympic weightlifting, gymnastics or Hero WODs. Caveat: Some boxes focus on members that want to compete and tend to ignore the people that are just there to keep their blood pressure down. Find this out before you join because if you are a 45-year-old insurance agent, and competing in regionals is not your end game, that box may not be for you. I may have listed community last on this list, but it should be near the top. Crossfit is a group activity. It is not like going to a regular gym and working out by yourself. You are going to see the same people there all the time. 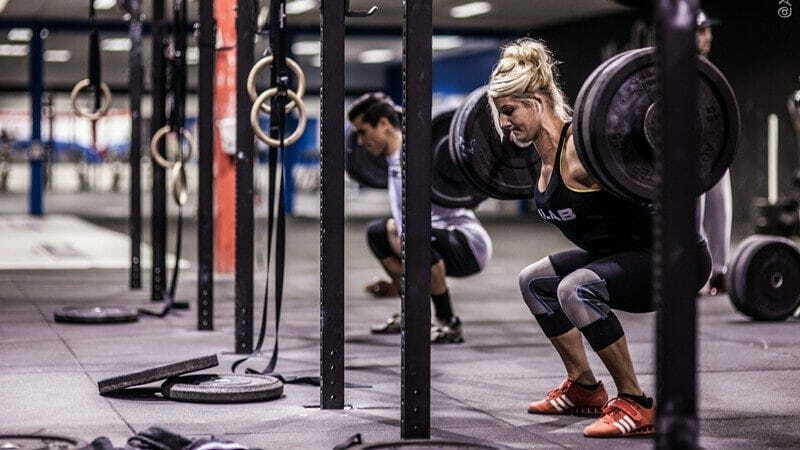 You are going to sweat with them, compete with them and laugh about it after the WOD. If you don’t like the people there, then you aren’t going to show up. Remember high school? It is a lot like that except everyone is covered in chalk and wearing Reeboks. BOXROX: If you are a Box Owner yourself, then check out our free ebook ‘5 ways to separate your box from the competition’ that you get when you sign up for our Box Owner Newsletter.